Now there are a lot of foreigners to learn Chinese, and in learning Chinese at the same time feel the Chinese culture. Chinese is the golden key to Chinese culture. Extensive and profound Chinese culture, including calligraphy, Chinese painting, martial arts, etc. China is called the state of ceremonies, and the civilization etiquette come down through five thousands years affects the life and habits of communication of the Chinese people, and have a very big difference from abroad. MandarinGarden accept students from all around the world. Students from Asian countries, and the living custom difference from Chinese is not very big, and the students from the European and American countries, should make changes in many aspects of life, to adapt to the life in China. Chinese cuisine, a lot of foreigners in their own country have got some idea. Chinese restaurants are very popular in all countries and regions, but foreigners may not understand the Chinese table manners. Some foreigners may have learned to use chopsticks, but they did not know they shouldn't put chopsticks inserted in a bowl full of rice. China is a country pay attention to respect the old. When have the diner, the elders in the home not to "move chopsticks", young members of the family are not allowed to eat first. Chopsticks are not only cannot be inserted in the rice, use chopsticks knock the bowl is not allowed - many people think that use chopsticks knock the bowl is begging. So not just to learn Chinese, more should learn how to adapt to a life in China when in Rome, do as the Romans do. 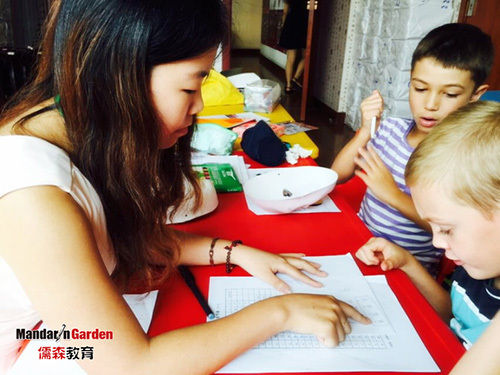 Let the foreigners learning communication and experience the life in China. For many foreigners development in China should pay more attention to business etiquette.